Images from a NASA Mars orbiter's telescopic camera reveal details of real regions on Mars where a new Hollywood movie, "The Martian," places future astronaut adventures. The novel of the same name used actual locations on Mars for the landing sites for its "Ares 3" and "Ares 4" missions. The landing sites for "Ares 3" is on a Martian plain named Acidalia Planitia. The base for the "Ares 4" mission was set inside a crater named Schiaparelli. 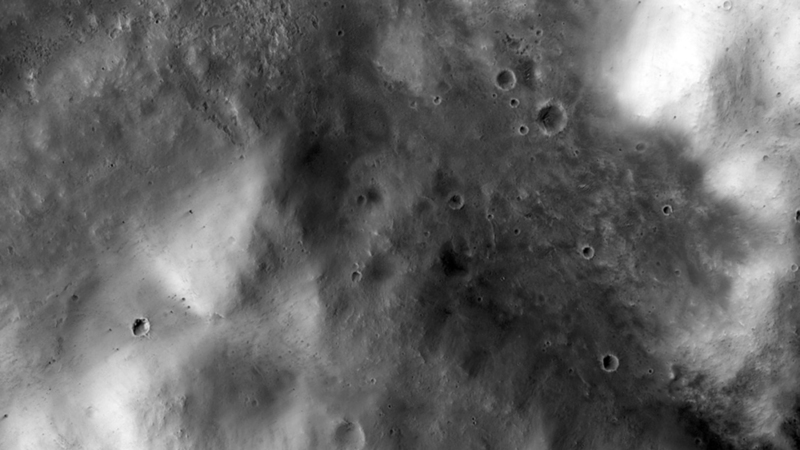 HiRISE is operated by the University of Arizona, Tucson. The instrument was built by Ball Aerospace & Technologies Corp., Boulder, Colorado. The Mars Reconnaissance Orbiter Project is managed by NASA's Jet Propulsion Laboratory, Pasadena, California, for NASA's Science Mission Directorate, Washington. JPL is a division of the California Institute of Technology in Pasadena.